Find out what you’re made of over a day of fun and fitness in Sunny Queenslands Numinbah Valley! 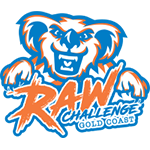 Raw Challenge Gold Coast is a great way to challenge you and your friends while having fun and getting dirty. Set to test not only your physical but mental limits, and let you feel that rush of achievement. Discover your limits with a range of courses and a whole lot of outrageous obstacles. Dress up, dress down, discover camaraderie with your team and enjoy a whole new experience. 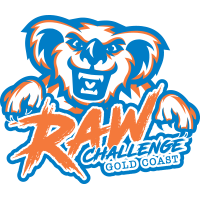 Raw Challenge is for any fitness level. There is no time limit to finish. Challenge your self in the competitive wave or do it your way in any of the social waves for the most fun you will ever have. This was a great day. A day that anyone can join in on and they certainly did. I shared so many exhilarating moments with not only my team, but other contestants. Be prepared to get down and dirty and get in on it next year. I sure will. Raw Challenge is an amazing experience. Every event has something new. It’s challenging, muddy but most of all fun. Best obstacle course ever! great fun for all ages and levels. Build a team of your friends and prepare for a day of positive fun and muddy obstacles!